Punch Metro reports that a two-year-old girl, who was stolen by a trafficking syndicate, has been rescued by operatives of the Anti-Kidnapping Squad of the Lagos State Police Command. A police source said the child’s mother, who lived on Oluwale Street, Olodi Apapa, Lagos, had handed her over to some relatives while going out. “Consequently, investigation was instituted and in the course of it, one Ms. Joy Okoye, 28, of No.64 Kirikiri Street, Olodi Apapa, was arrested in connection with the case. 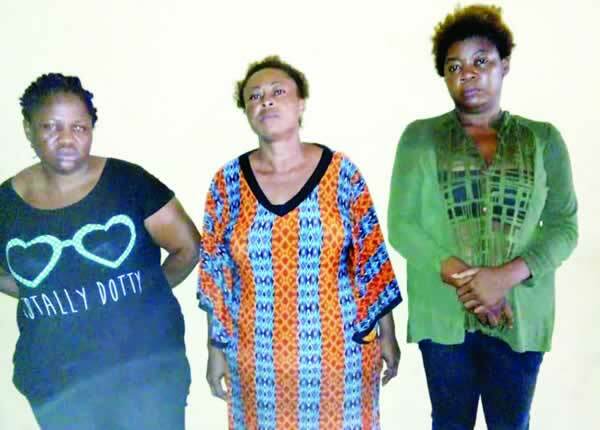 “Obieze confessed to have bought the child from Joy Okoye, but added that the deal was done jointly with one Ifeyinwa Ezene, 46, of Eze Bishop Street, Onitsha, Anambra State. Oti said the three women would be charged to court on Wednesday (today).